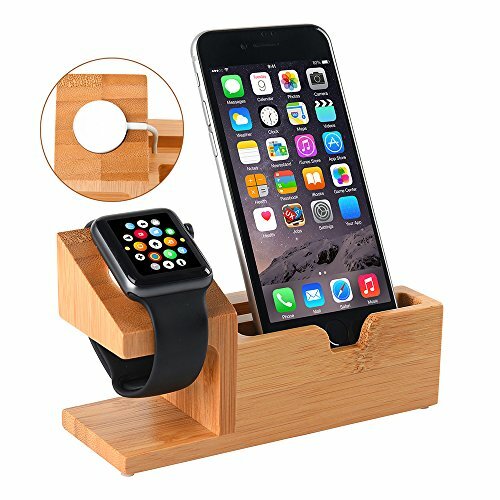 Bamboo wood charging stand (specially designed for apple watch /iphone ) » this apple watch stand is constructed of natural wood and bamboo, for a solid build that supports the watch at a stable and comfortable viewing angle. 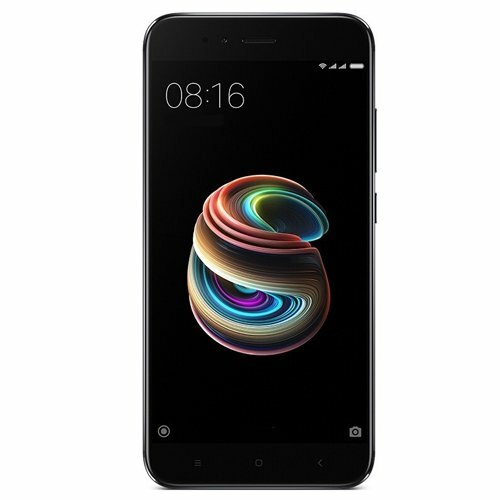 » Environmental protection, smart design and sleek appearance,reserved precision hole location, convenient and practical . » It features a circular cut-out to securely fit the charger beneath the watch.It can hold the apple watch stable and comfortable viewing with 45 degree angle. 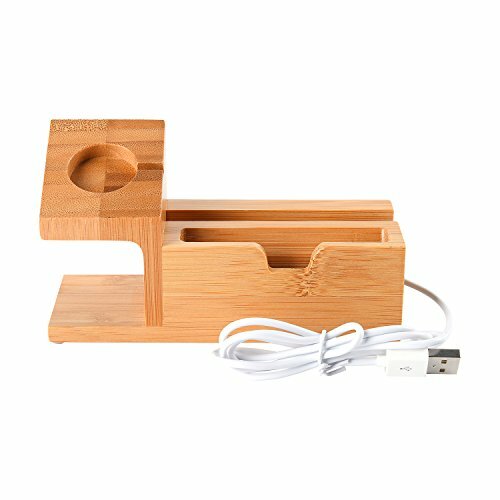 » A great place to keep your apple watch, iphone clean and safe while charging. 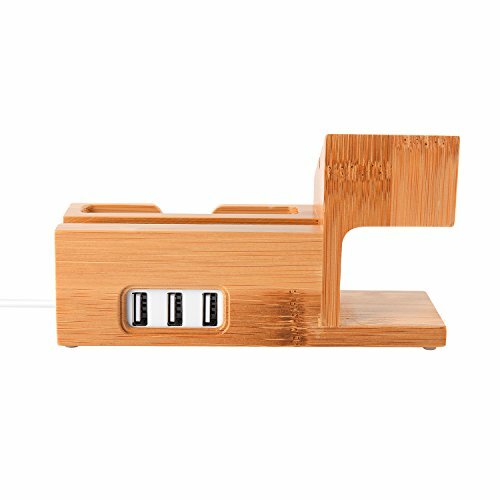 Perfect desk charging stand for home and office. » It’s nice in design and light in weight, easy to carry and convenient to use. 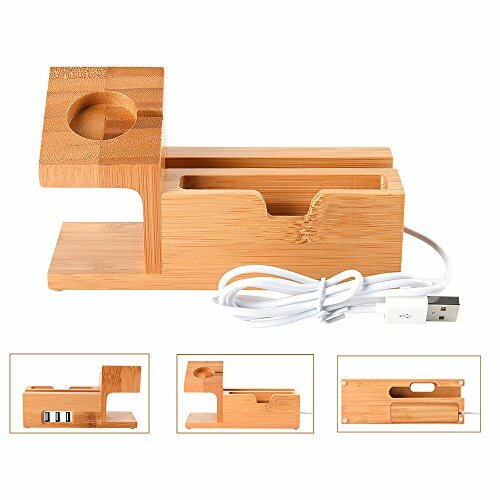 It’s not just a charging stand, but a beautiful decoration of your house or office desk. » This stand looks cool and is very affordable, the charging cord for the watch fits conveniently into the slot. 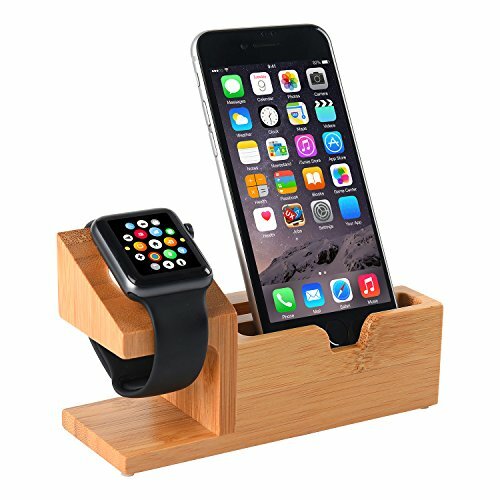 Perfect bedside iphone/apple watch holde. 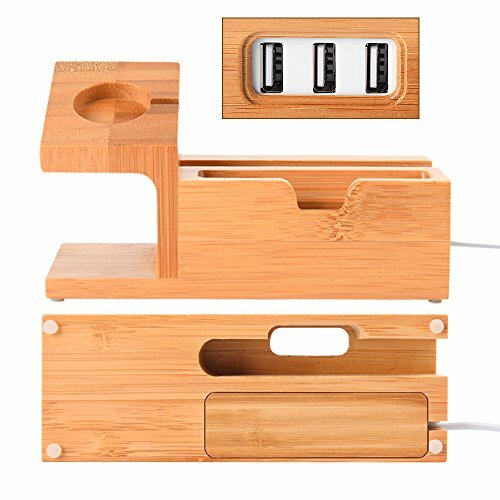 » Great stand and charger for multiple devices. 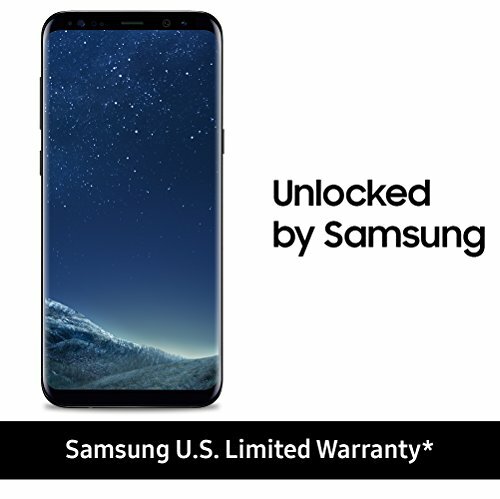 Helps to limit cord clutter and simplicity of charging all devices together. 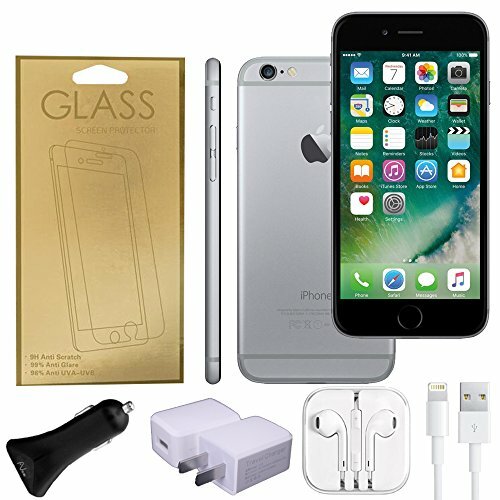 It’s pretty strong to hold your apple watch & iphone 6s with no problem note : The iwatch, iphone and charger cable are not included after sale : Our store offer the products are high quality and provide excellent service.